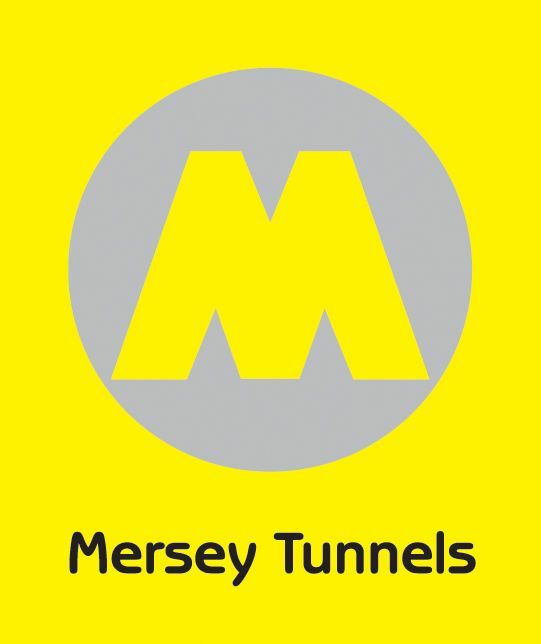 Please enter you details below to apply for a Fast Tag Account with Mersey Tunnels. Before the application can progress you must read and accept the Terms and Conditions of the scheme, these are detailed at the bottom of this page. If you are unable to apply online, or you are not the approved signatory for the bank account you can download and print the Application Form and Direct Debit Instruction, then present this with your intial payment at any of our Merseytravel Centres. Passwords must contain a minimum of 8 characters and contain 3 of the following character types, uppercase, lowercase, number and special characters. ‘Account Holder’ means the holder of the Fast Tag Account. ‘Application’ means the formal application for a Fast Tag completed by you. ‘Account’ means the account set up for the operation of your Fast Tag. ‘Resident Concession’ means the discount available, upon application, to eligible residents of the Liverpool City Region. (a) This Agreement should be read in conjunction with the information contained within the Fast Tag Application pack. (b) This Agreement together with the Application shall form a binding legal Agreement between you and Merseytravel which shall take effect upon receipt of your Application by Merseytravel. (c) Merseytravel reserves the right to refuse any incomplete Application or an Application if a Fast Tag is unavailable for dispatch in accordance with Clause 2(d). If we are unable to accept your Application, we will inform you of this in writing .and refund any payments that have been paid in advance. (d) Merseytravel shall use its all reasonable endeavours to dispatch a Fast Tag within 30 days of receipt of an Application. (e) It is the User’s responsibility to ensure that they do not proceed through the Toll Barrier on another vehicles toll payment. (g) The Fast Tag shall at all times remain the property of Merseytravel and must be returned upon request. The User shall not sell, tamper with or wilfully damage the Fast Tag. Merseytravel will charge a reasonable fee for any damaged, defaced or un-returned tag. (h) The User shall ensure that the Fast Tag is not used fraudulently or illegally, or for any fraudulent or illegal purposes. (i) Any images of the Fast Tag we may provide are for illustrative purposes only. Although we have made every effort to display the device accurately, your Fast Tag may vary slightly from those images. This is because the device is manufactured by a third party. (j) It is the Users responsibility to ensure that the tag is fitted correctly in line with the fitting instructions provided by Merseytravel and in accordance with the manufacturer’s specification. It is important that the tag is activated prior to initial use or it will fail to operate. (h if you lose your fast tag or it is stolen you may report this online via the Mersey Tunnels website or by phoning 0151 330 1004 or email tag@merseytravel.gov.uk A charge will be made for each that that is blocked to prevent unauthorised usage this change may be refunded on recovery of the tag. 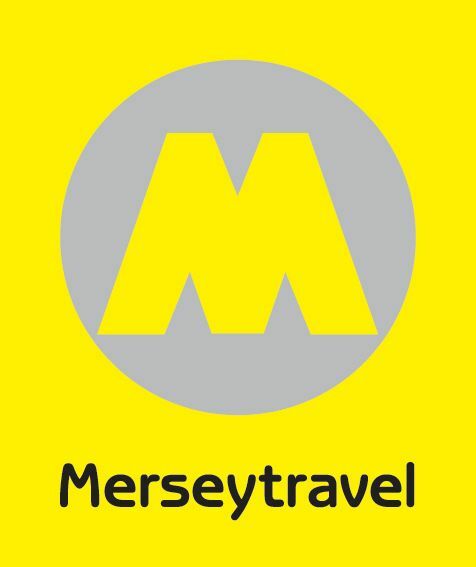 Merseytravel will create an Account and issue the Fast Tag within 5 days of accepting your Application. In processing your Application and operating your Account Merseytravel will take all reasonable measure to ensure the services are carried out with reasonable skill and care. comply with any legal requirements placed upon Merseytravel. We will contact you in advance to tell you we will be suspending supply of the product, unless the problem is urgent or an emergency. You may contact us to end the contract if we suspend it, or tell you we are going to suspend it, in each case for a period of more than 7 days and we will refund any sums you have paid in advance. (b) The Account Holder shall make payments to their account by Direct Debit or online top-up via the Mersey Tunnels website. (c) We accept payment with all major Debit/Credit Cards (excluding Amex). (d) In the event a payment is unsuccessful, your Account will not be topped up which may result in your Account having insufficient funds. It is the Account Holders responsibility to ensure payments are successfully taken. (e) If there are insufficient funds in your Account your Fast Tag will cease to work at the Toll Barrier until funds are added. It is the Users responsibility to ensure your Account has the required funds to operate the Toll Barrier. If the tag credit is exhausted alternative payment will be required. Under the terms of this Agreement, if you are a resident of the Liverpool City Region, you have the right to make an application for the Resident Concession to be applied to your Fast Tag Account. The Resident Concession is only available for personal use. Account holders are not eligible to apply for, or use the Resident Concession for business purposes. Misuse of the concession may lead to prosecution. The Resident Concession is provided at our sole discretion and we reserve our right to vary or withdraw this concession at any time. By applying for the Resident Concession, you confirm that the information you have provided is true and correct to the best of your knowledge. If this information changes, for any reason, you must notify us immediately. Please be advised that we may use agencies to verify and confirm your identity and residence. (ii) to implement minor technical adjustments and improvements (for example to address a security issue). (b) Merseytravel may at any time make more significant changes to the Fast Tag, Account, Toll Barrier and these terms, but if we do so we will notify you and you may then contact us to end the contract before the changes take effect and receive a refund from your Account. (ii) please give us a reasonable opportunity to repair or fix any defect. (b) We will use every effort to repair or fix the defect, or issue a replacement as soon as reasonably practicable and, in any event, within seven days. (c) You will not have to pay for Merseytravel to repair or fix a defect with the Account or Fast Tag under this clause, unless arising from a breach of the clauses of this Agreement on the part of the Account Holder or User(s) or a failure to fit the Fast Tag correctly in accordance with Clause 2(j). (d) If you have any questions or complaints about the Fast Tag scheme, please contact us. You can telephone our customer service team at 0151 330 1004 or write to us at Merseytravel, PO Box 1976, Liverpool, L69 3HN or email tag@merseytravel.gov.uk. (e) As a consumer, you have legal rights in relation to this Agreement where it is not carried out with reasonable skill and care, or if the materials Merseytravel use are faulty or not as described. Advice about your legal rights is available from your local Citizens' Advice Bureau or Trading Standards office. Nothing in these Terms will affect these legal rights. Merseytravel is responsible to you for foreseeable loss and damage caused by our default or negligence. If we fail to comply with these terms, we are responsible for loss or damage you suffer that is a foreseeable result of our breaking this contract or our failing to use reasonable care and skill, but we are not responsible for any loss or damage that is not foreseeable. Loss or damage is foreseeable if either it is obvious that it will happen or if, at the time the contract was made, both we and you knew it might happen. Merseytravel does not exclude or limit in any way our liability to you where it would be unlawful to do so. This includes liability for death or personal injury caused by our negligence; for fraud or fraudulent misrepresentation; for breach of your legal rights in relation to the Fast Tag as detailed within the Consumer Rights Act 2015. Merseytravel accepts no liability or responsibility for an incorrectly fitted Fast Tag or a Fast Tag not installed in accordance with the manufacturer’s specification or fitting instructions, which is the responsibility of the User. Merseytravel is responsible for making good any damage to your property directly caused by us under this Agreement which arises from our default or negligence; However Merseytravel accepts no liability for any loss or damage to property howsoever arising from the use of the Fast Tag unless the loss or damage is caused by the default of negligence of Merseytravel. Merseytravel accepts no liability for business losses and we shall have no liability to you for any loss of profit, loss of business, business interruption, or loss of business opportunity or any indirect or consequential loss arising from this Agreement. (c) Unless you have a right to end the contract immediately as above, the contract will not end until 28 days after the day on which you contact us. We will refund any payments you have made to your Account, less a sum as detailed below. If Merseytravel requests it, you must return the Fast Tag within 28 days of the closure of your Account. (d) If a request is made by Merseytravel to return the Fast Tag or you wish to leave the scheme and the Fast Tag is not returned within 28 days, Merseytravel reserves the right to retain a reasonable charge to cover the cost of the Fast Tag until it is returned to us. (iii) any other material breach of the terms of this Agreement. (f) We may stop providing the Fast Tag Scheme at any time. We will write to you to let you know that we are going to stop providing the Fast Tag scheme. We will let you know at least 14 days in advance of our stopping the services and will refund any sums you have paid into your Account. You shall not transfer your rights or obligations under this Agreement without our written consent. We may not agree to this and in most cases we are unable to transfer or assign the Fast Tag to another person or third party. We may transfer our rights and obligations to another organisation if required (such as a requirement due to a change in law or governance) however we will always tell you in writing if this happens and we will ensure that the transfer will not affect your rights under the Agreement. Each of the paragraphs within this Agreement operates separately. If any part of this Agreement is or becomes illegal void or invalid that shall not affect the other provisions of this Agreement which shall remain in full force and effect. This Agreement shall be governed by English Law and you can bring proceedings in respect of this Agreement in the Courts of England for any breach of your legal rights in relation to the Fast Tag as detailed within the Consumer Rights Act 2015. Merseytravel accepts no liability or responsibility for an incorrectly fitted Fast Tag which is the responsibility of the User. Merseytravel is responsible for making good any damage to your property caused by us under this Agreement which arises from our default or negligence; however Merseytravel accepts no liability for any loss or damage to property howsoever arising from the use of the Fast Tag unless the loss or damage is caused by the default of negligence of Merseytravel. Merseytravel accepts no liability for business losses. Fast Tags are supplied for domestic and private use and we shall have no liability to you for any loss of profit, loss of business, business interruption, or loss of business opportunity.